Experience the best of Croatia and Slovenia. 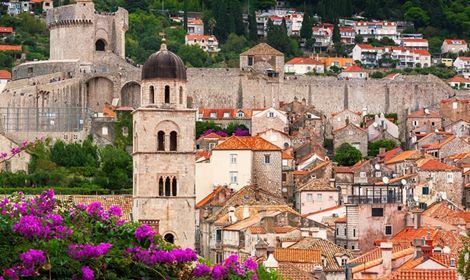 Explore Dubrovnik; take a walking tour in the lush green Plitvice Lakes National Park with its cascading lakes; visit Postjona, home to one of Croatia's largest caves; Bled, nestled amid the Julian Alps on the shores of Lake Bled; and discover the highlights of Ljubljana and Zagreb. 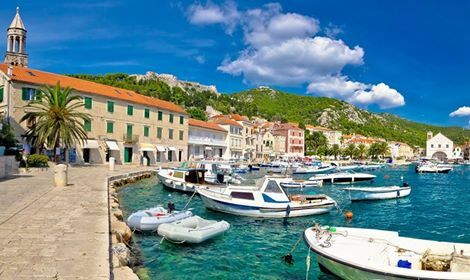 Tour the highlights of Croatia on this escorted vacation visiting Zagreb, Split, Hvar, Dubrovnik, and Plitvice. Enjoy a city tour of Zagreb and explore historic sites such as the Upper Town and St. Mark's Church. Travel to Plitvice Lakes National Park and experience the 16 terraced lakes surrounded by wooded mountains and lush vegetation. Continue on to Split where you will enjoy an extensive city tour and a boat ride to Hvar. Continue to learn of the rich cultural and historical heritage of Croatia in Hvar before making your way to Dubrovnik. Enjoy this coastal town's views and take part in a walking tour of Old Dubrovnik. Complete your travel experience with a day trip to the Republic of Montenegro to visit the longest and deepest fjord in Southern Europe and the charming coastal town of Perast. Discounted prices start from $2,095 per person land only , available on May 5, 2018.